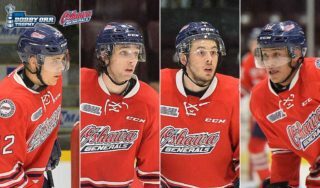 Owen Sound, ON – The Owen Sound Attack and General Manager Dale DeGray are proud to announce the commitments of four players ahead of the 2018-19 season. 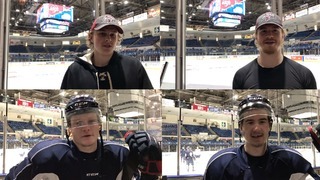 DeGray has signed goalie Andrew MacLean and forwards Manuel Alberg, Bryce Caruk and Griffin Wilson to OHL Standard Player Agreements, bringing the Attack’s exhibition roster to 26 total players. A 10th round pick in the 2017 OHL Priority Selection, MacLean hails from Port Huron, Mich. and spent last season with the Detroit Honeybaked U16 club after being selected from the Lambton Jr. Sting in his Minor Midget campaign. In 12 games, the 6-foot-1, 174Ib. MacLean registered a 2.16 goals-against average and an .896 save percentage with Honeybaked last season. 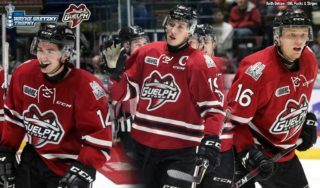 A 17-year-old native of Koln, Germany, Alberg was Owen Sound’s first round (45th overall) selection in the 2018 CHL Import Draft. The 5-foot-10, 157Ib. 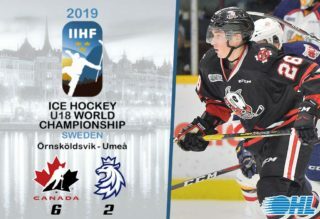 right-winger registered 50 points (24-26–50) in 39 regular season games with the Kolner EC Under-19 team last season and registered an additional five points (1-4–5) in as many games with silver medalist Germany at the Division 1A World Under-18 Hockey Championship. Caruk joins the Attack from Courtice, Ont. 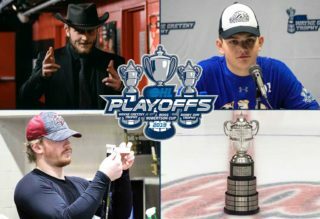 He was an 11th round pick of the club from the Clarington Toros Minor Midgets in 2017 and proceeded to record 26 points (14-12–26) in 34 games with the Whitby Wildcats Midgets last season. The 6-foot-4, 165Ib. centreman saw three games with the OJHL’s Whitby Fury in 2017-18. Wilson was Owen Sound’s first round (15th overall) choice in the 2018 OHL Under-18 Priority Selection. The 17-year-old native of Elora, Ont. spent his Minor Midget season with the Waterloo Wolves before suiting up for the Huron-Perth Lakers Midgets last season. In 33 games the 6-foot-3, 209Ib. centreman recorded 29 points (14-15–29) with Huron-Perth and also got into seven games with the GOJHL’s Stratford Warriors, recording one assist. 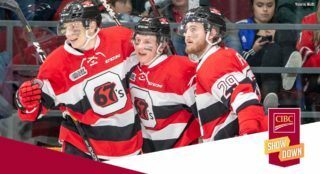 The Attack suit up in two more preseason games with a home-and-home against the North Bay Battalion this coming weekend before opening their season on the road in Barrie on Thursday, September 20th.